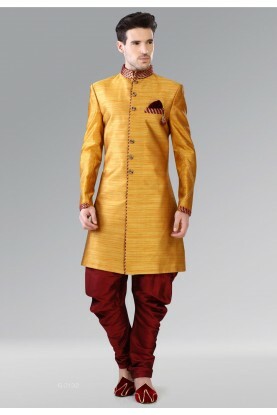 Orange Colour Traditional Kurta Pajama. Add zing to the awesome personality clad in this Orange Colour Bhagalpuri Silk Fabric Readymade Kurta Pajama. You're reviewing: Orange Colour Traditional Kurta Pajama. 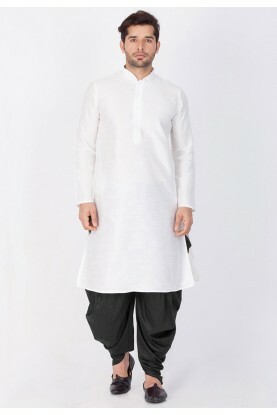 White Color Readymade Dhoti Kurta.